Last month, Atlassian announced its $425 million acquisition of task management provider Trello, a move that signals increased consolidation in the unified communications and collaboration industry. As enterprise software providers continue buying asynchronous collaboration tools, we’ll see software giants like Atlassian expanding their portfolios to meet the needs of the evolving workforce. 1. How will acquiring Trello benefit Atlassian in the long-run? By adding Trello to its portfolio, Atlassian will be better positioned to foster team collaboration. Atlassian will also provide its users with more choice in the tools they leverage to support their communication preferences. As players like Slack continue to rule the collaboration software space, this acquisition will allow Atlassian to better compete in the market. Atlassian also plans to continue offering Trello as a standalone solution, so it’ll reap the benefits of an additional 19 million users. 2. How can Atlassian ensure a smooth merger with Trello? One of the biggest challenges of M&As is figuring out how to carefully protect (and blend) corporate cultures. Before the deal closes, Atlassian should start thinking about how to effectively preserve its culture while beginning to embrace Trello’s core values. To get their cultures in sync, Atlassian and Trello should practice what they preach and leverage collaboration tools. Since employees will likely be dispersed across various locations and offices, the newly combined companies should use video conferencing to build trusting relationships. Not only does video significantly reduce travel expenses, it also gives employees the opportunity to connect on a more personal level with their new colleagues. To prioritise culture right off the bat, Atlassian can host a virtual kickoff post-merger as a way to bring the entire staff together. 3. Atlassian has made 18 acquisitions. What are the benefits and pitfalls to having an aggressive acquisition strategy in the collaboration space? Acquisitions allow Atlassian to quickly grow their offerings beyond their signature bread-and-butter products. The company is clearly looking to solve problems for different groups with point solutions targeted at different user groups. Acquiring companies allows Atlassian to strengthen its collaboration platform while gaining a substantial user-base from one of the few remaining independent collaboration companies. However, an aggressive acquisition strategy carries its own set of risks. To see a full return on investments, companies must navigate the complex task of integrating two different companies (which comes with a whole host of operational and strategic challenges) and different technology platforms together. At the same time, companies have to be careful not to alienate the acquisition’s existing customer base. 4. What does the Atlassian-Trello deal tell us about the trends in the enterprise collaboration industry? The deal is indicative of accelerated consolidation in the UC and collaboration industry. Consolidation is a natural and necessary phase for any industry or organization, having successfully occurred in multiple industries before, including diverse sectors like automotive, healthcare, music and personal computing. We’ll likely see more acquisitions in 2017 as companies look to bolster their offerings to touch each step of a customer's workflow. 5. What are the benefits of this type of consolidation? 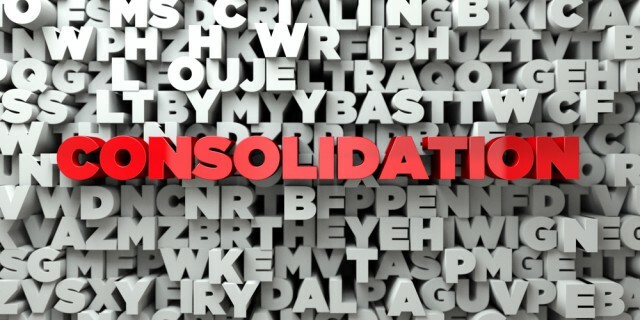 There are a few major reasons why consolidation in the enterprise collaboration market will be beneficial. First, companies will have higher quality choices. When competitors merge overlapping products and services, customers benefit. This not only minimizes concerns about the legitimacy of a vendor, but also the uncertainty around support or scale. IT leaders typically prefer established vendors with financial stability and a consistent track record. By decreasing noise in the marketplace, consolidation leaves customers with only the highest quality options. Consolidation also creates untapped opportunity. Vendors striving for differentiation from their competitors are sure to capitalize on these markets as the interest and demand expands, and none of them will want to settle for second best product portfolio or a product imitation of their competitors. Successful vendors will thrive because of their internal active strategy, not by reacting to a competitor’s product line. Merger and acquisition activity alone will not deter the proactive thinking and product development of these innovative companies. 6. How will team collaboration evolve and improve as tech giants continue to acquire independent companies? Today’s employees -- Millennials in particular -- are leading the charge in changing the way we work. As workers continue to crave the ability to work from anywhere on any device, we’ll see enterprise collaboration software providers catering to their needs. Team collaboration will become more mobile, more flexible and enable better productivity within organizations. Continued M&A in the space means that giants like Microsoft and Cisco will be better positioned to provide workplaces with the tools they need to get the job done. 7. What predictions do you have to share for the future of communication and team-based collaboration in the workplace? Beyond vendor-consolidation, we’ll also see more customers start to commit to one primary vendor for their UC needs. According to Nemertes Research, more than 40 percent of enterprises are planning to converge their UC apps around a single vendor. At the same time, we’ll also see greater interoperability across vendors, resulting in simpler, more streamlined UC for end-users. Last year, Cisco and Microsoft announced greater connectivity between Cisco’s collaboration solutions and Skype for Business, and we expect more vendors to follow suit. Improved interoperability allows businesses to make smarter, more scalable UC investments while removing burdensome communication silos. 8. With so many emerging communications and collaboration technologies available today, how can employers select and successfully deploy the tools their employees want? Choosing the right tools and successfully deploying them can be one of the biggest hurdles to effective collaboration for large corporations. It seems that even if you have the right tool, achieving 100 percent adoption from end-users is nearly impossible. One practice we’ve seen be immensely helpful in this process is the creation and use of IT personas. Creating personas for your employees around what their needs are and what their use of collaboration tools looks like is essential to choosing the right tool and deploying it to the right people. In the long run, this practice will save IT money, time and resources. Rob Bellmar, EVP of Business Operations, West’s Unified Communications.